Or in matrix form: [0,1;-1,0], [1,1;1,0]. You can view a version I wrote in Three.js/WebGl here. You can spin it and pan and zoom. 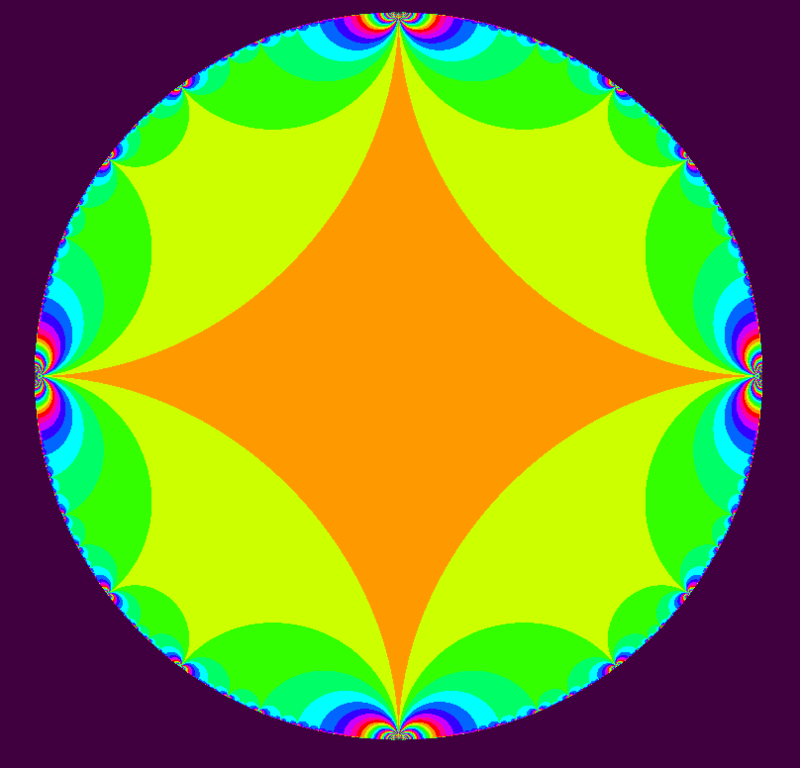 It is clear in this version that the tessellation lives on the upper-half plane of the Reimann sphere. 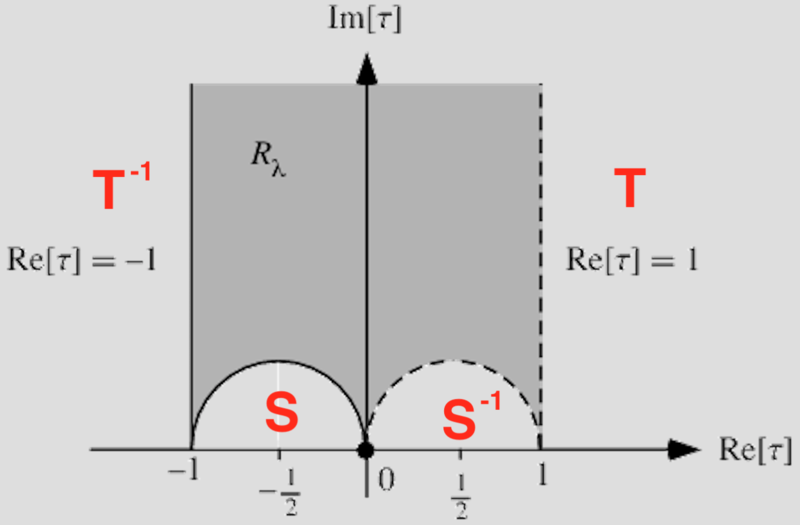 The 4 corners of this fundamental domain are -1, 0, 1, and ∞. The red letters indicate the effect of the initial tiling of 1 letter words (e.g. T, T¯¹, S, S¯¹). These areas correspond to the yellow quadrilaterals in the tiling above. All ideal triangles are congruent to each other. The interior angles of an ideal triangle are all zero. An ideal triangle has infinite perimeter. An ideal triangle is the largest possible triangle in hyperbolic geometry. Following their naming, P, Q, R and S are the tangency points of the four circles a, A, b, and B which are positioned where the letters T, T¯¹, S, S¯¹ are in the diagram above, respectively. The möbius transform a corresponds to T and the möbius transform b corresponds to S.
 “Indra’s Pearls: The Vision of Felix Klein”. By David Mumford, Caroline Series, David Wright. Page 214.